What do you do with someone who is grounded in her faith and wants to be discipled? In a previous post, Discipleship 101, I shared about the materials I use with a new believer or someone who doesn’t have a solid foundation for her faith. Today, I want to share what I use with someone who has the foundation and wants to grow deeper in her walk with God. When I disciple someone at this level, I want to know what her spiritual needs are and how I can help her develop in a certain area. 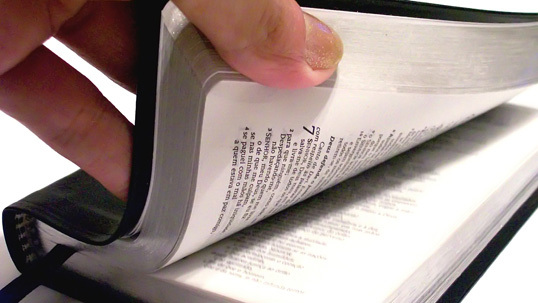 We may discuss a book or go through a Bible study or work through a passage together. Sometimes, I answer questions she has about the Bible or God’s will or something that has come up in her life. I often give her things to work on specifically in her time alone with God. Sometimes we spend time discussing her ministry and the challenges she faces. We always pray together, and I continue to pray for her throughout the week. In this level of discipleship, I like to balance our time between working on something structured and spending time talking through life issues. I determine how to spend our time together based on her needs. Because women were asking me for materials to use in these areas, I developed Book 2 of the Building Your Spiritual Toolbox series: Building on the Foundation. If you’re looking for something to use in discipling someone in these areas, it’s available on Amazon. I’d love to hear from you. What is another area that would be good to cover with someone in this level of discipleship? This is great info and also where my heart is – discipleship. I love your SHAPE -ing of disciples to minister, and how God has designed and equipped us uniquely to do so. Thank you for your passion! Thanks, Melanie! Discipleship is so important and I want to encourage others in this area. Thanks for stopping by! These are great topics to discuss. Thank you! I need to bookmark this post. Katy, God has used these topics greatly to help me grow in my own spiritual walk, as well as to help others grow. I hope they’re useful to you!